I’m very excited to be participating in the 2015 Read-A-Spark hosted by Olivia from Brewing Up Books, Kathy from The Novelty of Life, and Cassandra from ccbooks66512. This Read-A-Thon runs from 5/17 – 7/26 and will include discussions, activities, and challenges relating to all eleven of the Nicholas Sparks book-to-movie adaptations that have been released thus far. #ReadaSpark will be used on Instagram and Twitter, so feel free to follow along and tag your own posts. 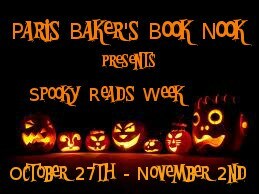 From October 27th – November 2nd, I will be participating in Spooky Reads Week hosted by Paris Baker’s Book Nook. 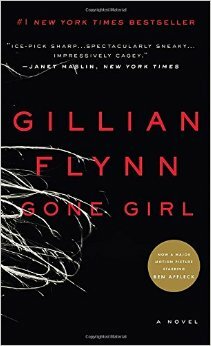 I will be reading Gone Girl by Gillian Flynn. Fortunately, my future father-in-law had the book and is letting me borrow it. Score! If you are participating, let me know what you will be reading. Click here to enter into this amazing giveaway. i already did!